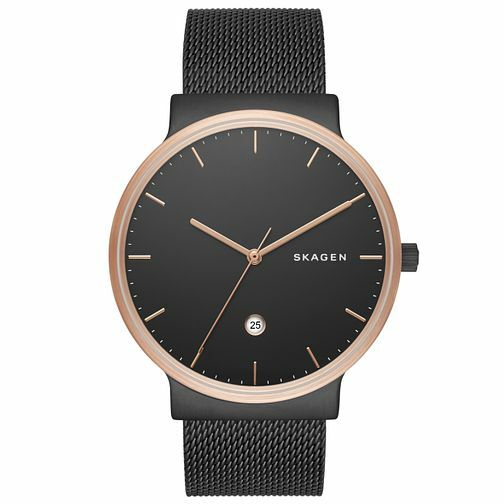 From elegant Danish watchmakers Skagen, this sleek men's timepiece boasts a stylish two colour finish. A rose gold tone case is contrasted beautifully with the dark tone of a stainless steel mesh bracelet, shimmering with a black dial. This timepiece offers a sophisticated dash of glamour.